Assessments of polling centers before election day assist election teams in figuring out what modifications are needed to ensure an inclusive election. 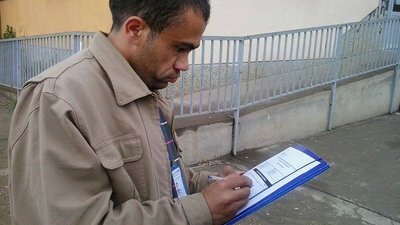 A man completes a pre-election assessment of a polling center in June 2014. Attendees participate in a training for election observers in June 2014. In June 2014, Kosovan citizens meet with representatives of a political party running in elections. Several Kosovan citizens in a call center field questions about the upcoming election. 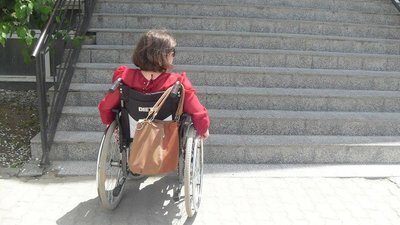 A pre-election assessment finds that a number of polling centers in Kosovo are not yet ready for voters with disabilities. 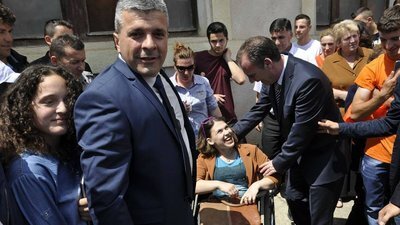 At a conference, a Kosovan woman speaks about her experience with accessing her political rights.